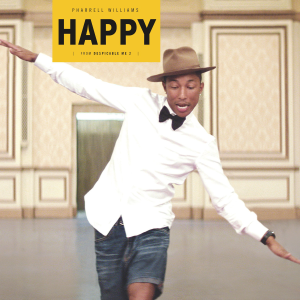 Have you heard Pharrell Williams’ song “Happy”? I’m sure most of you have. I’ve been a little in love with Pharrell for MANY years, so I’m not surprised that I love this song. But even if you don’t love Pharrell, it’s hard not to get happy listening to this song. Even Baby Bear dances along. So when I found this video of elementary kids singing it, I just had to share. Sure to put a smile on your face!